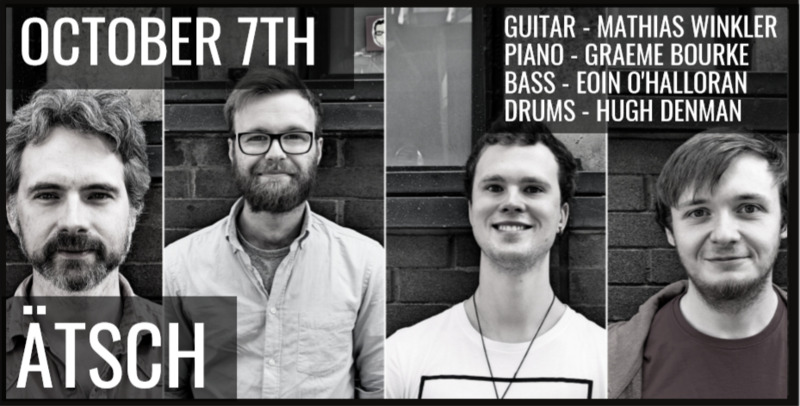 ÄTSCH started life as a graduation ensemble put together by guitarist Mathias Winkler’s for his Newpark BA in 2016. Since then the quartet has held down a weekly residency at the Front Door on Dame street and in November(2017) , they released their self-titled debut EP. 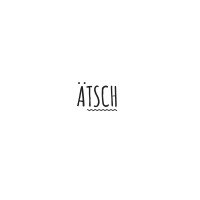 ÄTSCH plays instrumental music in the spirit of exiting jazz improvisation within the sound aesthetics of modern-day post-rock. ÄTSCH is merging lyrical melodies with strong individual solo performances. Being inﬂuenced on the one hand by post-rock giants such as “Sigur Rós” or “Explosions in the Sky” and on the other hand by contemporary Jazz artists like “Gilad Hekselman” or “Julian Lage”.Promising music that mixes jazz improv with a post-rock sensibility.Guitarist Matthias Winkler is joined by drummer Hugh Denman, bassist Eoin O ’Hallaran and pianist Graeme Bourke.The band´s debut EP was recorded and mixed in the Ventry Studios with Dave McCune and mastered by Madhu Kambamettu.